YOOMP! 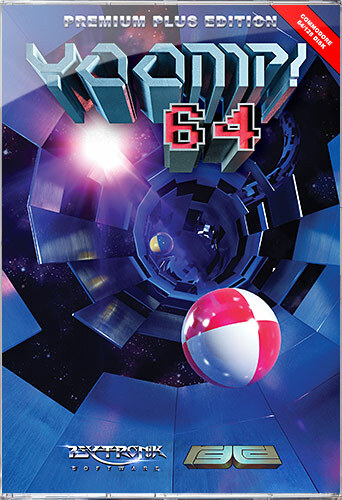 64 is a Commodore 64 port of the classic Atari XL/XE indie arcade game YOOMP! Bounce the ball through 23 three-dimensional textured tubes, collect as many points as you can and try not to fall off the edge! The PREMIUM PLUS DISK EDITION of the game is presented on a 5.25" floppy disk with full colour double-sided artwork in a clear plastic disk case. This version includes a printed instruction booklet. The C64 CARTRIDGE EDITION is now available from our chums over at RGCD. Original Atari 8-Bit coder and game designer.